Welcome to another week of Travel Photo Thursday. The semester finished yesterday, and I am getting ready to head out to Prague and the Czech Republic on Monday. What a difference a year makes! On the exact same date last year I was heading across the Atlantic to land in Halifax at 2:30am in the morning. I hadn’t seen my Dad in two years, so as much as I was dreading the long flight, I was super excited to having the opportunity to spend time with him again. Fast forward to this year, and its Prague for entirely different reasons; the people, the food, the wine, the architecture, and and and… This week I am featuring a few shots from my last summer’s Nova Scotia adventure. 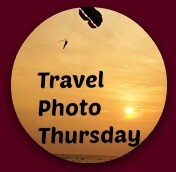 Don’t forget to check out Travel Bloggers Weekly Photo Choice. Discover how you can have your photo and blog featured on Budget Travelers Sandbox. 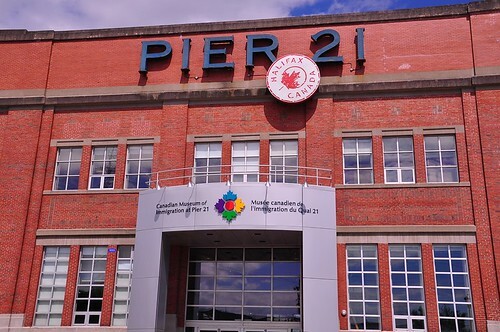 Pier 21…Between 1928 and 1971 every European immigrant passed through Halifax. 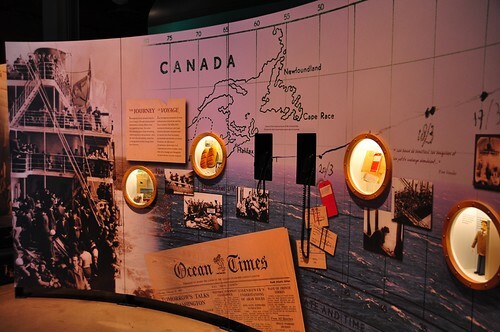 During the war years Canada’s troops headed for Europe from this spot. If you visit, take the free tour. The guides are knowledgeable and friendly. The history is fascinating. If you happen to be in Halifax on July 1st, Canada’s birthday, admission is free. This shot was taken from inside on the museum on the deck where my Dad set off to war. Standing there gave me goose bumps. 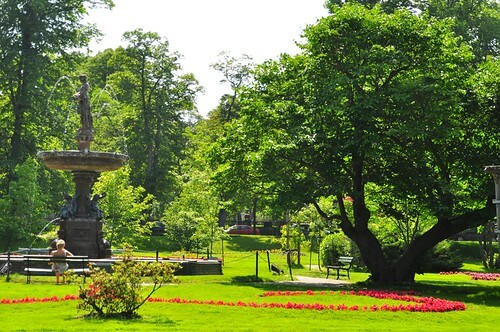 Halifax’s Public Gardens…yes it really was that green. This shot is straight out of the camera. 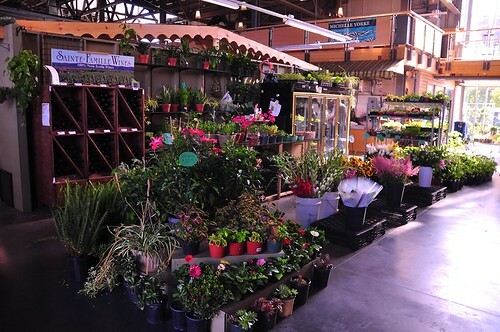 Halifax’s Farmers Market…a great place to sample local food and buy a unique keepsake from the province. It wouldn’t be a trip to Nova Scotia without some fantastic food! The Train Station Inn in Tatamagouche serves up some of the yummiest fish chowder and fish cakes I have ever eaten. And…the reason for the visit… My Dad! 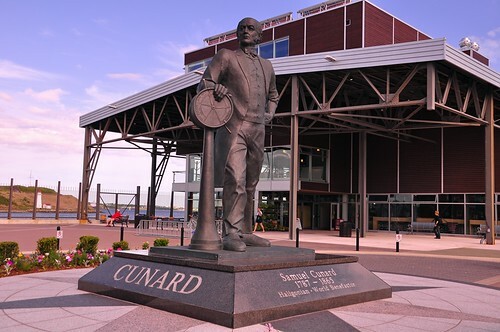 If you’re planning a trip to Nova Scotia, check out these trip planning resources. 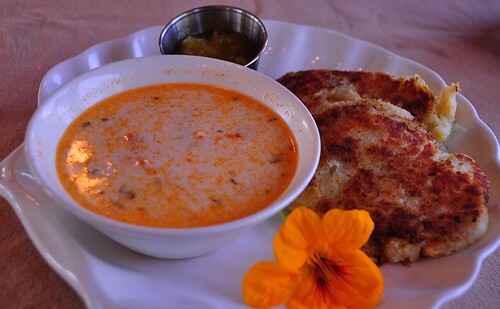 That fish cake and chowder look amazing! I can’t wait to take my family to see the martime provinces. I was lucky enough to get a sample of it when working for a big consulting firm. They really were one of the best I have ever eaten. Both were to “die for”. 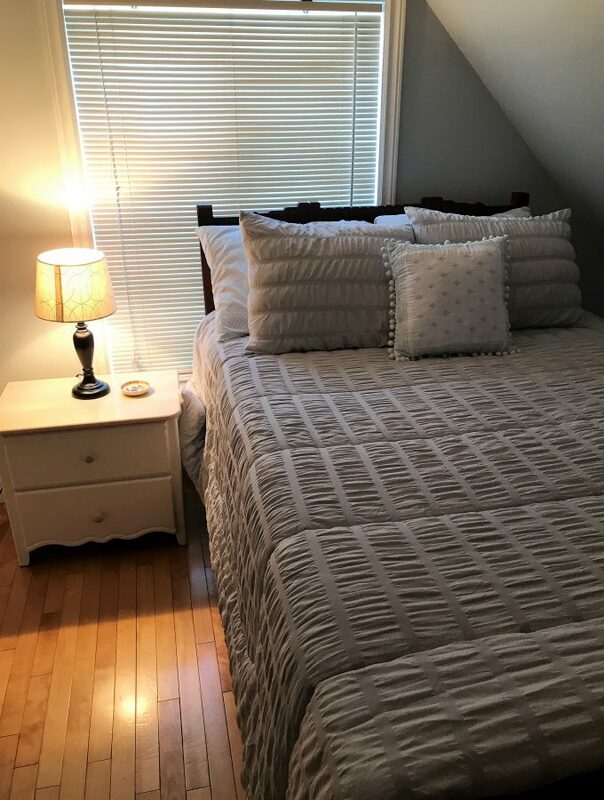 These pictures of Nova Scotia and all your previous pictures have really inspired me to visit this beautiful part of Canada. The food pictures here look so delicious. Have a wonderful and safe trip to Prague and looking forward to seeing your posts. 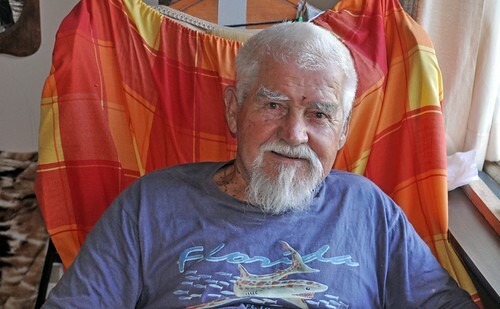 Great photos, Nancie – it must have been wonderful going home for a visit with your Dad! We have one day in Halifax this summer and I’m hoping to get to Pier 21 as we didn’t make it the last time we were in the city. Have a fabulous time in Prague – can’t wait to see your photos and read your posts – I have been wanting to visit there for the longest time! I’ve heard so much about Nova Scotia. Seems like I would also love visiting there too, what with thos scrumptious food and all! I envy you for your Praha trip. What I wouldn’t give to be there right now! I love the lobsters claws. Perfectly framed! 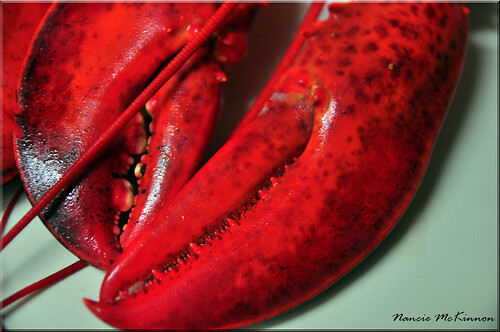 We adore Halifax and Nova Scotia, lobster and all! You have some mouthwatering photos there. You’ve also sent me n a trip down memory lane to the Public Gardens. I remember trying to avoid getting bitten by the swans. Hope you get another visit sometime soon with your Dad. Love that last photo best! Nova Scotia is a great place – we really enjoyed our time there some years ago. This seems like a reminder to get back there again. Enjoy your next adventure. I’ll be eager to see you (always lovely) photos as I’ve not yet gotten to that corner of the world. Visiting family is the best, glad you were able to spend time with your dad. The chowder does look especially tasty- wouldn’t mind some for lunch right now, mind sending me some! Another taste tempting tour you’ve provided us. My mouth watered at the chowder and cakes. And how fun to ‘meet’ your dad! Safe journeys and wonderful new adventures to you – look forward to your posts. Your photos are absolutely stunning, Nova. Love the crab claw shot, too. I’ll be in Canada this Canada Day but sadly, not in Nova Scotia. I would have been lovely to do that tour. My sister and I enjoyed our trip to Nova Scotia so much. What a great picture of your dad. Somehow he looks perfect as part of the Nova Scotia “scenery”. Love seeing the pic of your dad! 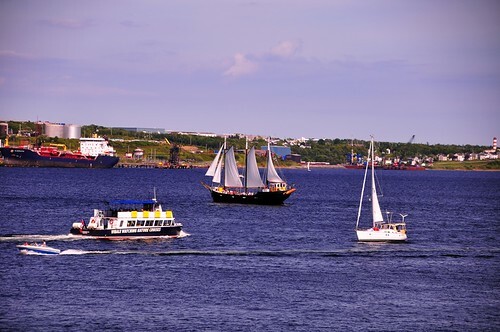 Halifax is must re-visit place for me. Haven’t been there since I was a kid. That might be the greenest lawn I’ve ever seen. Looks like a nice time and a beautiful place. Plus, there’s no better reason than to visit one’s parents  I’m excited for you that you are going to the Czech Republic. As I might have already mentioned to you, I lived there and loooove that country! Where are you going? Gorgeous pictures – I would love to visit Nova Scotia! Especially after seeing your pictures. How nice to have a “home base” in such a lovely place! Whether in Korea, Canada, or the Czech Republic, the world has so many wonderful places things to see. I look forward to seeing reports from your upcoming visit to Prague.